The new Coca-Cola collection presented by Now Designs is a perfect marriage of America's most beloved beverage brand and Now Designs' quality and craftsmanship. 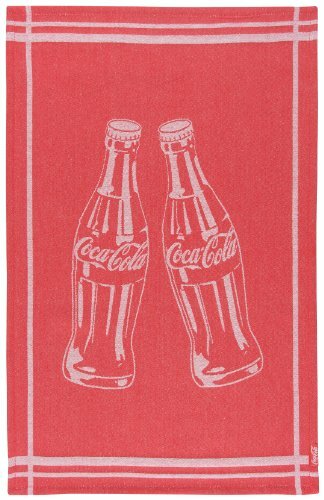 The team at Now Designs dove into Coca Cola's archives to select the most unique and nostalgic designs to feature on their aprons, dishtowels, oven mitts, napkins, mugs and more. This charming dishcloth is made of 100-percent cotton and measures 18 by 28 Inch. Simple Care: Machine wash.